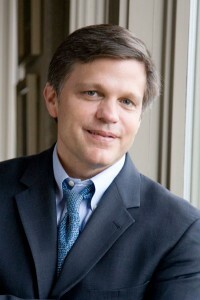 Historian Douglas Brinkley, author of The Wilderness Warrior: Theodore Roosevelt and the Crusade for America; and the forthcoming Rightful Heritage: Franklin D. Roosevelt and the American Conservation Movement will keynote the conference Sunday evening October 19. Watch Congressman Mike Simpson speak at the 2014 Frank Church Wilderness Conference. A reception will be held prior to the address. The daytime conference on October 20 will feature a number of speakers including Tom Tidwell, U.S. Chief of the Forest Service, in the Simplot Ballroom. Congressman Mike Simpson will speak at the luncheon on October 20 in the Hatch Ballroom. A dinner honoring Governor Cecil D. Andrus, former Secretary of the Interior, with the Frank and Bethine Church Award for Public Service, will be held Monday evening, October 20 in the Stueckle Sky Center. While the conference is open and free to the public, advance registration will be required for the reception, luncheon and dinner. Download the Conference Brochure [.pdf] to register. Parking for the keynote address and conference in the Lincoln Garage at University Drive and Lincoln Avenue; and for the dinner at the West Stadium Lot.